The Steinbeck S is a slimline version of my standard Steinbeck model. Like the Steinbeck it is built for light strings and is wonderfully responsive with surprising volume from the gentlest touch. It has a gentler and smoother bass than the standard Steinbeck, with a bright, full mid range and a singing treble. Overall it is a wonderfully balanced sound,and when fitted with a Highlander gives an outstanding amplified sound. 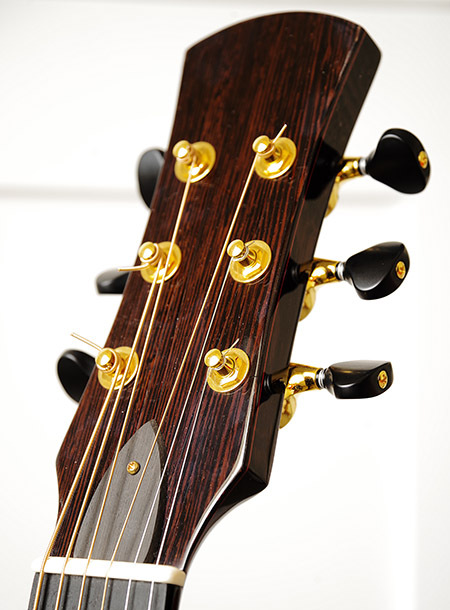 It’s available with African or Malaysian Blackwood back and sides; figured Sitka soundboard and Wenge neck are standard. 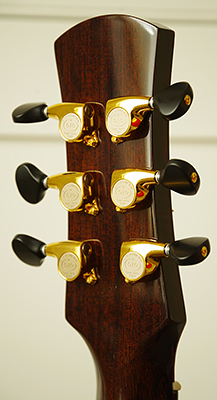 Tuners are Gotoh 510s, the best available for fine tuning and sound. 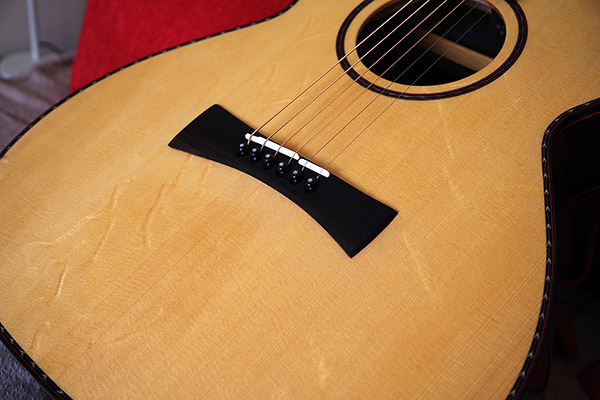 Unlike many other guitar tonewoods, Malaysian Blackwood can be legally exported anywhere in the world without the complication of certification. 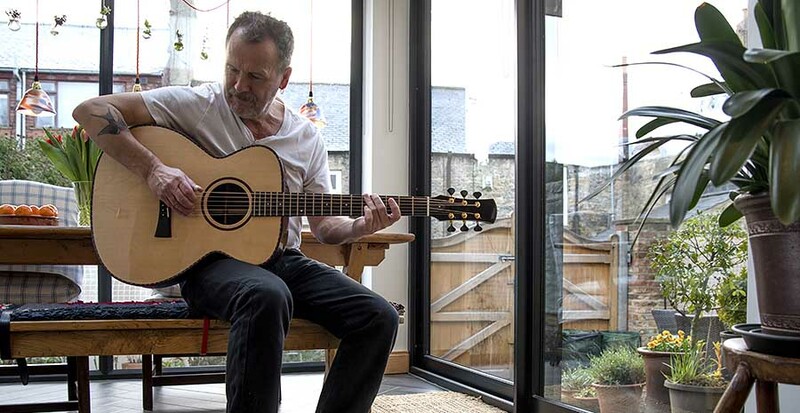 Martin Simpson playing prototype Steinbeck S. This is now one of his live gig guitars.